According to Detective Sergeant Lienert, club meetings are referred to as “church” and a strict code of silence applies. 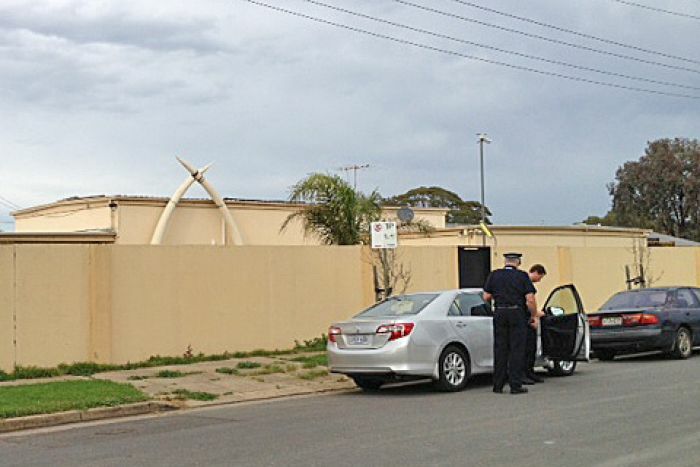 Police outside the old Hells Angels premises at Mansfield Park in September 2013. Sergeant Lienert told Judge Paul Slattery that there were 10 “characteristics” of the Hells Angels, including a code of silence, a culture and acceptance of violence and practices of intimidating police. Counter-surveillance is conducted and intelligence gathered against police and rival gangs, and the gang cultivates and corrupts “contact persons within key agencies”, he said. “The expectation is that every member of the Hells Angels would become involved in a violent confrontation that other members are involved in,” documents stated. “Depending on the circumstances, there may be ramifications if those persons do not become involved. “A meeting of the Hells Angels Motorcycle Club is referred to as ‘church’. But Sergeant Lienert said meetings had since been moved to different members’ houses because of anti-bikie laws enacted in SA. Sergeant Lienert told the court that there were three ranks — a “hang around”, “prospect” and “member”. He said for a person to become a member, they were first given the title of “hang around” and needed to become sponsored by a fully patched member. “The gang would then vote, and if a 75 per cent approval vote is obtained, he would then become a ‘prospect’ for the gang,” documents stated. Sergeant Lienert told the court that “prospects” stayed in that position for 12 months and needed to obtain a 100 per cent vote to become a member. “Full members are also entitled to have tattoos which say ‘Hells Angels’ and ‘Death Head’ which must be removed if they leave the gang in bad standing,” he told the court. 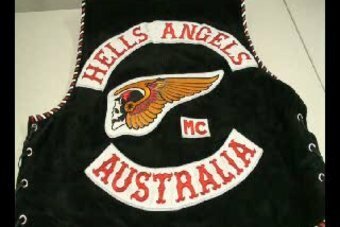 “In relation to the Hells Angels, Mr Weetra first came to the notice of police in February 2017, when police stopped him en route to a Hells Angels event being held in Mildura, Victoria,” Judge Slattery said in his judgment. Judge Slattery found that Graham was aware of Weetra’s association with the gang because she received texts about getting “drawn in” to the club, and “HA chicks” at her house.